TruPix sublimation paper roll for the best combination with your Sawgrass sublimation inks. 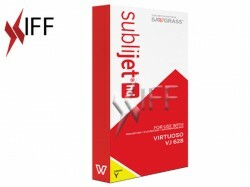 TruPix sublimation paper roll is compatible with Sawgrass VJ628 inkjet printer. 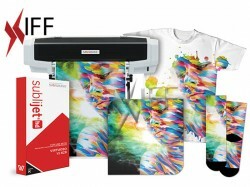 This Premium Range of Sublimation papers works with hard surface and fabric substrates. Trupix is a fast dry sublimation paper roll, and is almost immediately dry to the touch by the time it prints, in comparison to higher release papers which tend to be wet initially and can take some time to dry. This means no smudging on ceramic surfaces, and no need to wait for the paper to dry. 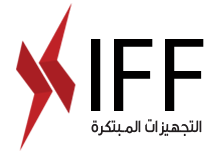 In addition to this, trupix paper releases just the right amount of dye for the available surface area on coated ceramic surfaces.